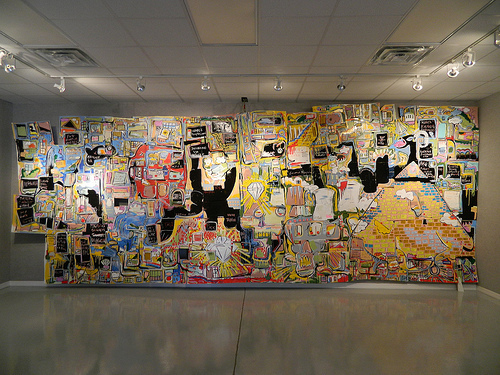 Sarasota Visual Arts summary report of exhibitions and events for the upcoming weekend. This features the weekend of Friday, September 23 through Sunday, September 25. 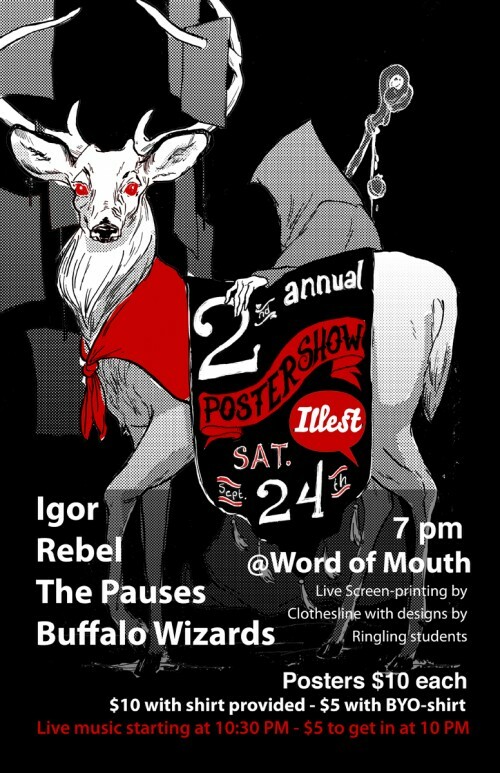 Ringling College of Art’s Illustration majors are putting on a fundraiser for their annual Illest of Illustration show. Hosted downtown at Sarasota’s, Word of Mouth Restaurant with live music. Posters will be available for purchase. Live silk screening by Clothesline. Syntax: Text and Symbols for a New Generation. An exhibition that examines the current generation of artists’ interest in text, symbolism, and means of information transference. Drawn from the Hadley Martin Fisher collection in Miami, this project is the first opportunity to experience the depth of this fascinating new collection of contemporary art. Erik Groff is on display, exploring the paradigms of reuse, deification of capital and a society locked into ever deepening cycles of overconsumption, Groff reorients his creativity toward furthering the cause of art, rather than that of finance and the product driven. 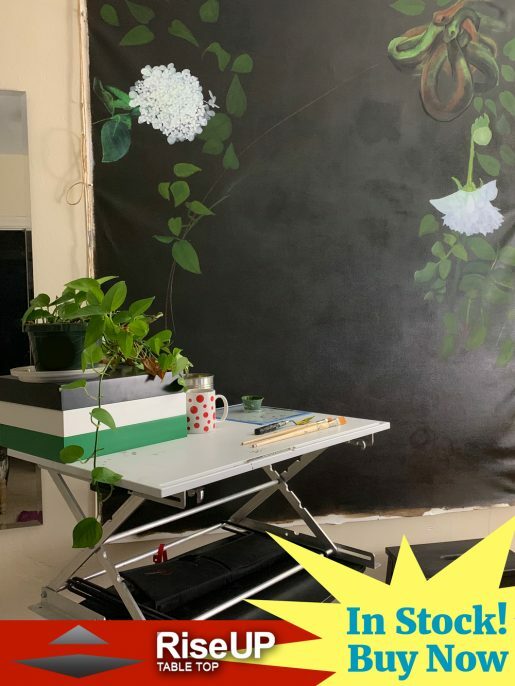 The result is an art which seeks to bridge the void between ’respectable’ gallery art and art made from discarded materials. 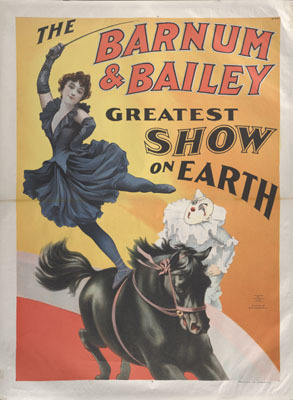 The Amazing American Poster: The Strobridge Lithography Company presents eigthy “brilliantly colored, boldly bombastic posters” on display through the new year. Originally organized by the Cincinnati Art Museum and The John and Mable Ringling Museum of Art. Four Portfolios of the Twentieth Century showcasing Archipenko, Gropper, Evans and Doisneau. This exhibit brings together two lithographic and two photographic portfolios by four important artists. Robert Doisneau and Alexander Archipenko are European, photographer Walker Evans and artist William Gropper are Americans.